Bryan Ferry has covered Bob Dylan songs throughout his solo career (e.g. A Hard Rains a-Gonna Fall and Its All Over Now Baby Blue), but never has he done an entire album of Dylan. The title refers less to his style of music than the material performed, but Dylanesque is different from slick productions (Boys and Girls, Taxi), overworked masterpieces (Mamouna), and even eclectic returns to form (Frantic). 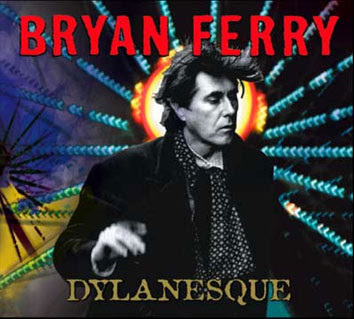 Vocally, Ferry treats Dylan with his own familiar style instead of copying Dylans, and the music, while low key, is Ferry at his most spontaneous. Just Like Tom Thumbs Blues and All Along The Watchtower evoke Ferrys solo work from the 1970s, while he avoids the typical rock and roll temptations in doing Knockin On Heavens Door and transports the listener. Dylanesque is very fresh mainly because Ferry loves the songs. Definitely worth a second and a third listen. A Beastie Boys album without the rap. Its hard to imagine, but they pull this one off. To The 5 Boroughs was their love letter to New York, serving up affectionate addresses, pointed satire, and post-9/11 anger with old school hip hop. Here, in The Mix-Up, they forsake odd lyrics and samples, and just jam (an approach done a decade ago with Ill Communication) and they are excellent musicians. 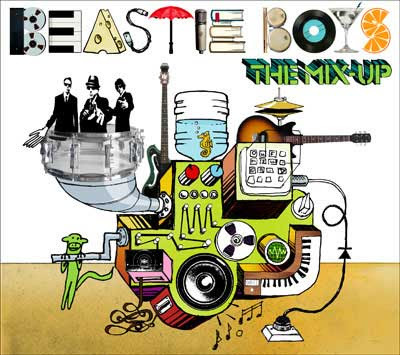 No hip hop here, just the Beastie Boys doing their take on music they enjoy very much such as jazz, blues, and bossa nova. Overall, very groovy. Ive been a longtime fan of Paul Wellers music in its various incarnations: The Jam, The Style Council, and his solo stuff. Ive had Confessions of a Pop Group on LP and CD and now I have a nice digital version of it thanks to some of the Style Councils catalogue being released on iTunes. The artsy, pretentious answer to Wham! in the 1980s, the Style Council predated stylish acts such as the Pet Shop Boys, Saint Etienne, and the Brand New Heavies (Paul Weller plugged them once in a radio interview and thats how I got into them). Like a previous album Our Favourite Shop, Confessions shares the Marxist politics and the blue-eyed soul, R&B groove, but is less pop accessible. Weller and company attempt more sophisticated ballads, funkier grooves, and even 1960s style surf music. However, this is their last full length album, as their post-Confessions Promised Land (very much house music) ultimately killed them. 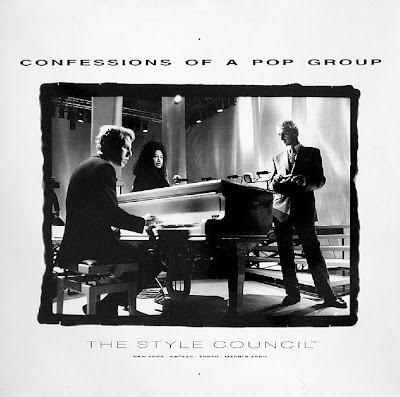 Confessions of A Pop Group holds up to the test of time more than some other Style Council albums, but this is not an album for the casual listener. It was around 1992 or 1993 in San Diego, when Paul Weller was interviewed by 91x (pre-concert) and they let him hijack the station with three songs. I don’t remember him having BNH on the playlist, but he cited them as a band he liked.That show at San Diego State’s Montezuma Hall, supporting his solo debut, was amazing.